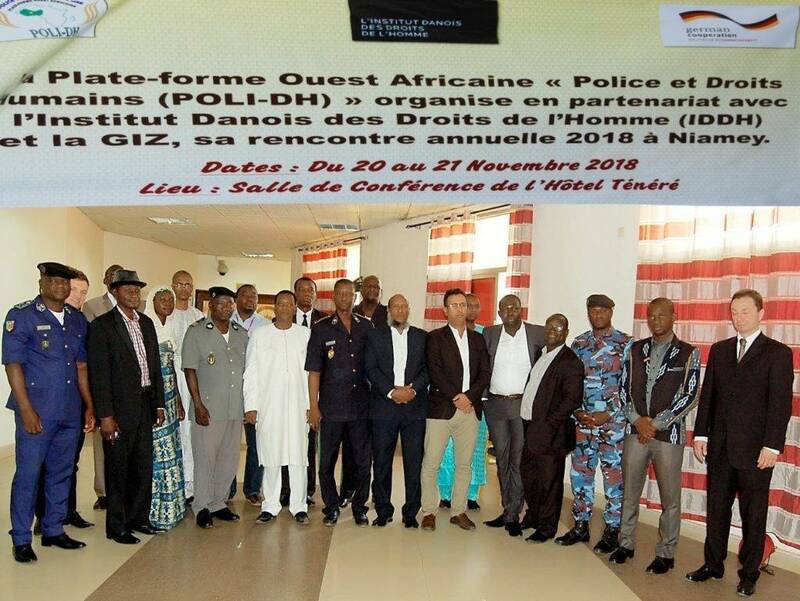 Yearly meeting of the West African Platform POLI.DH “Police and Human Rights” composed of police services from Burkina Faso, Mali and Niger and based upon the experiences of the Danish Institute for Human Rights (DIHR) in Niger. The overall purpose of the Danish Institute for Human Rights (DIHR) activities in Niger is to assist national partners in developing a well-functioning national human rights system where key State human rights actors effectively exercise their mandate and complement the role of other actors.. DIHR’s activities in Niger started in 1997. Technical and financial assistance have continuously been provided to State human rights actors, leading progressively to improvements and to a reform of Niger’s National Human Rights Commission. The Commission, which had limited independence until it was reformed in 2014 is today independent, more efficient and composed of nine Commissioners who have a mandate for human rights promotion and protection. They are expected to present a yearly Human Rights Report to the Parliament. DIHR’s action has also led to the development of material for the human rights training of the Magistrates in collaboration with the Ministry of Justice, which is a partner since 2008. The goal of the project 2018-2020 is to build upon these results in order to continue to contribute to the development of a well-functioning national human rights system. This will be achieved through close partnerships with the essential actors of the respect of human rights in Niger. Strengthening the human rights system is a key to resolve some of the main challenges faced by Nigeriens today. Further information on human right trainings of the police available in this video https://www.youtube.com/watch?v=ShtwJaiYjfg and on https://www.humanrights.dk/news/niger-human-rights-training-strengthens-trust-police . DIHR has a local office in Niger, and the local representative is Ibrahim Mairiga, ibma@humanrights.dk .